Did you know that in the 12 months up to September 2014, 524,877 people were summonsed or charged with motoring offences in this country? Of those 85% were convicted. That is five times the number of prisoners currently being held in our jails! Many clients using Emmersons Solicitors Motoring Law Department have never been in trouble with the police before. They have never had to face court proceedings and are understandably very distressed. It’s not just about speeding and drink driving either; the myriad of new motoring laws is becoming endless. In the last few months alone there have been two major changes. Not only do you no longer have to display a tax disc but when you become the owner of a private sale vehicle you may have to register the fact that you are the new owner. Both seller and buyer must follow the correct procedure otherwise you may end up with huge penalties. Thousands of drivers have had their cars towed away and have been charged fines of up to £800.00 after the changes to car tax rules. Most drivers realise that tax discs are no longer required. However, most do not realise that car tax is automatically cancelled when a car changes ownership even if there is a valid disc in the window. The DVLA are now clamping about 8,000 cars a month!. Did you read about the married couple who decided to swap cars? The couple decided to swap cars with one another and being very diligent they wrote to the DVLA to inform them about the change. The DVLA, using the new rules, cancelled the tax discs for both cars. The couple did not appreciate this. One of their cars was towed away. They had to pay money to retrieve it and managed to do so just before the car was destroyed! From the 8th of June 2015 the paper counterpart of your licence is no longer valid. You will rely upon your photo card only. New penalty points will only be recorded electronically, they will not be printed or written on either photo card licences or paper driving licences. From this date, if you commit an offence you will still have to pay any fine and submit your licence to the court but the way the court deals with the paperwork will change. Imagine the mess that this is going to cause? These are huge changes to the way we have been operating for generations. So do you need a Solicitor? At Emmersons Solicitors Motoring Offence Solitiors, we have represented hundreds of clients just like you. 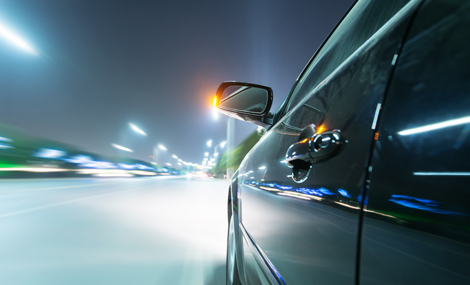 Nearly all motoring offences are strict liability offences. However, there are technical defences or arguments which can mitigate the seriousness of the situation. You should avoid looking up information on an internet chat room, believing what is written and then trying to present the matter to the court. These are very technical points and a lot is at stake, your job, your business and ultimately your home. Another error people make is to engage an “online motoring law expert” and believe the promise of a guaranteed acquittal whilst also paying a huge fee. There are no guarantees. That said, at Emmersons Solicitors we do achieve a very high acquittal rate. If you have been charged with a motoring offence contact us now: at a reasonable fee, we shall talk to you in person; give you detailed, honest and accurate advice; properly assess your case and attend at Court with you. Can you afford to have points on your licence? Can you afford to lose your licence?